View our current monthly offers for new Volkswagen models. Get the best Volkswagen has to offer with added benefits to our available pre-owned vehicles. 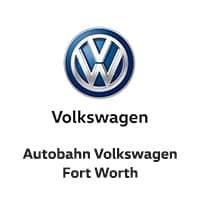 Welcome to Autobahn Volkswagen Fort Worth, your Fort Worth and Dallas Volkswagen area dealer. For over 30 years we have been delivering service and value to our DFW Volkswagen customers. Our internet team keeps our new and used DFW Volkswagen inventory accurate and up to date with well-described VW vehicles and real photographs. You can easily and accurately view our inventory from the comfort of your home. Our team is constantly attending the latest VW training and demonstrations, so whether you come in to inquire about purchasing or leasing a VW, you get your questions answered.